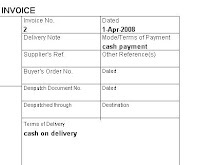 a problem related to printing terms and conditions in Tally Invoice or quotation. I take this opportunity to tell all my readers about how to add your own terms and conditions in our invoices. A standard Tally invoice prints under declaration some standard conditions e.g. "We declare that this invoice shows the actual price of the goods described and that all particulars are true and correct." In addition to this Tally provides two more space to declare our terms and conditions. These are terms of Payment and terms of delivery. Lets see How can we utilize these spaces for our purpose. and then Sales under list of voucher. There is a field of declaration and here you have to enter what ever conditions you want to put at the bottom of the invoice. 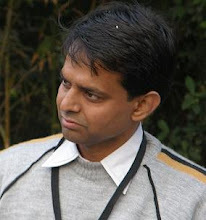 It would remove the standard tally conditions and put user defined conditions. If readers want they they can get their invoice customized. Tally has facility of Invoice customizations with the help of TDL. User can get their company logo inserted in invoice, rearrange certain fields, add some more fields etc. They can send me a mail to request a quote. I am new to this Apni Tally and I have a problem with sales. Is there any solution to print 14.5% VAT Items and 4.00 % VAT Items in seperate Invoices. I accidentally Mix them up and invoice them in the wrong VAT Classification. Is there any solution for this. 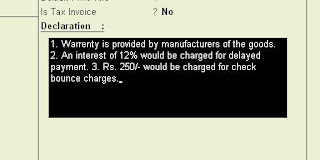 Ananth you can add different voucher classes for different vat rates. 1) How can I add common "terms and conditions" at the bottom of every purchase order ? 2) How can I "add" custom column to any report for additional calculations ? My upgraded computer will not except my external hard drive,it keeps saying I need a exe file to open the external hard drive...!!! Dude..!! Help!help help! What do I do????? My computersauras runs of windows 2000 but it was still ok before..!!! If you had customized invoice then the tcp file for that invoice needed to be upgraded to tally.erp 9 version.